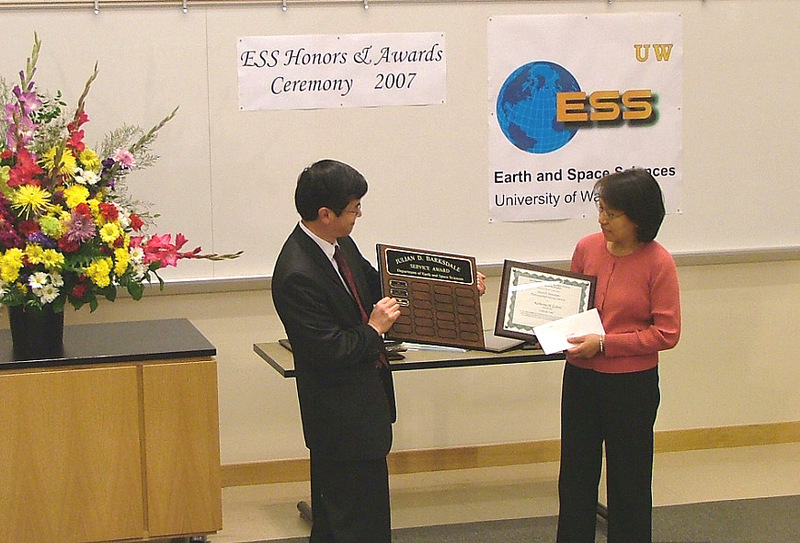 On Thursday May 17th, 2007, the UW Dept of Earth and Space Sciences held its annual Honors & Awards Ceremony, giving out recognition and numerous awards to students, faculty, and staff. 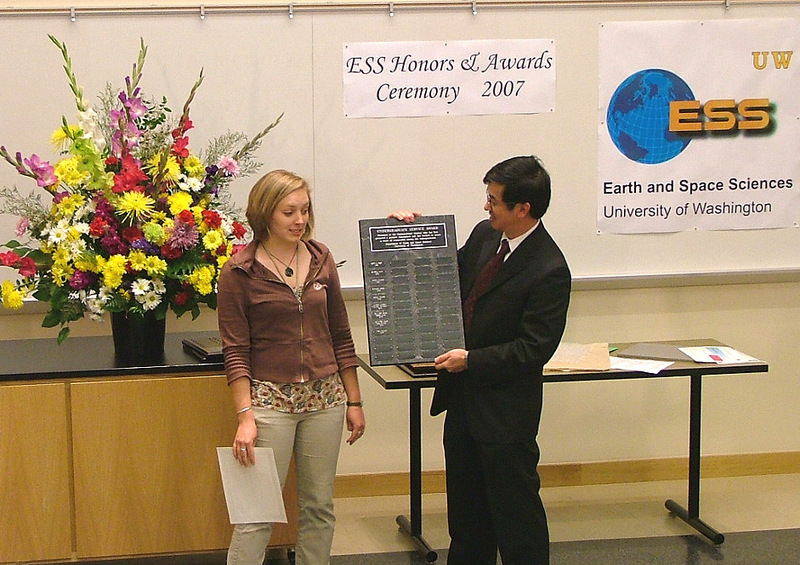 All of these awards are presented for merit recognition via a nomination and vetting process, and the awards are often accompanied by small amounts of cash or scholarships. ESS Chair Robert Winglee was the Master of Ceremonies, with help from Terry Swanson, Ed Waddington, and Roger Buick. Tara Smiley receiving the Undergrad Service Award from George Robert Winglee. 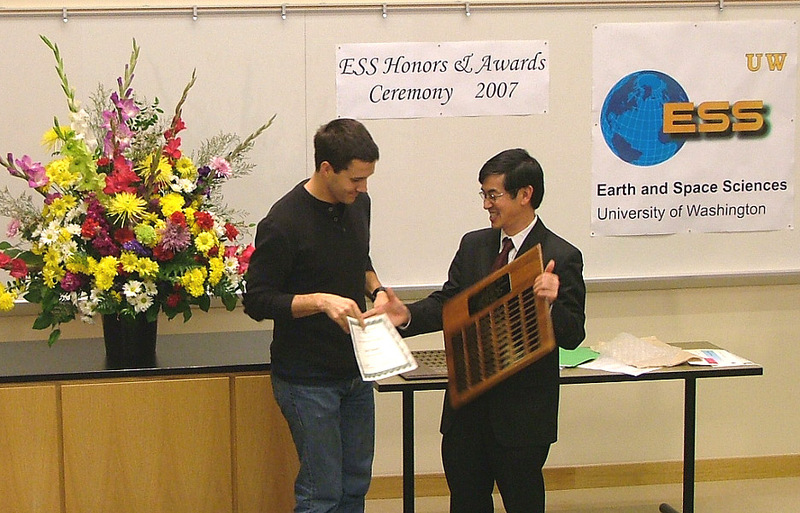 Jesse Einhorn receiving the top undergraduate Merrill Prize from Robert Winglee. 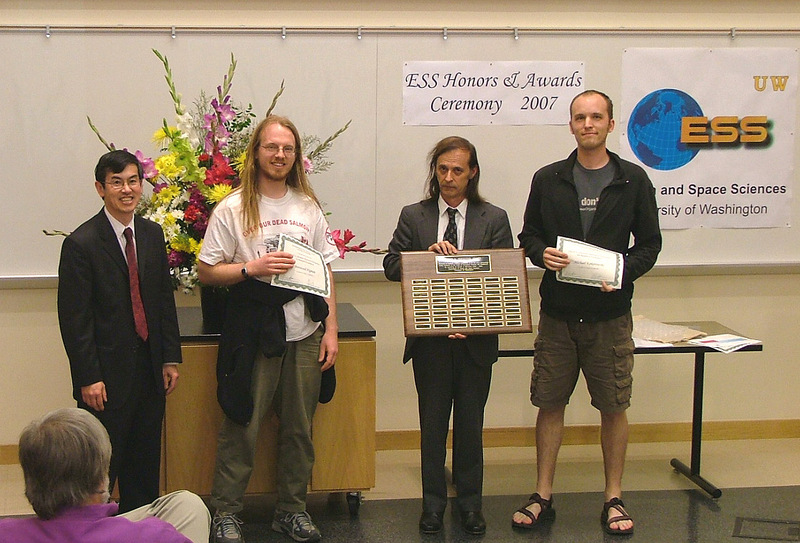 Brentwood Higman and Michael Kokorowski receiving the top graduate student Johnston Prize from Robert Winglee. 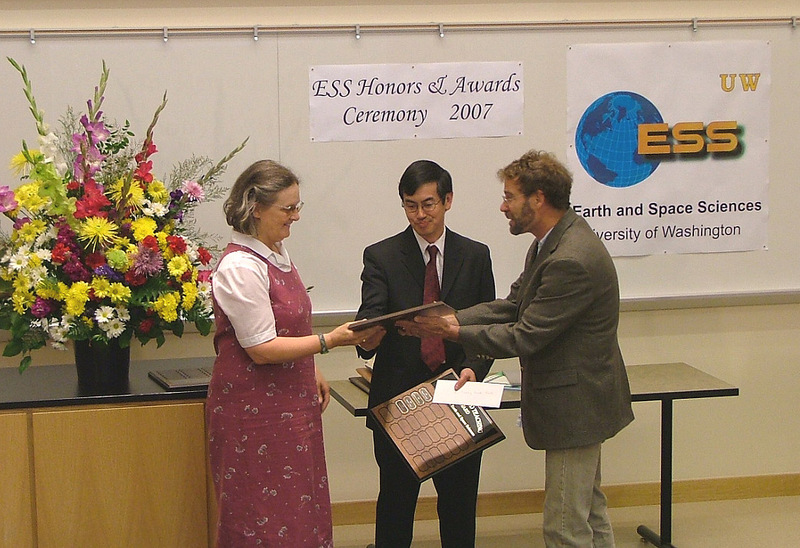 Joanne Bourgeois receiving Teaching Excellence Award from Robert Winglee. Kathy Gabriel receiving the Barksdale Service Award from Robert Winglee and Tucker Barksdale.